Categories: Audio plugins & tools, Formats & Plugins, Reformer Pro. • The World’s First Dynamic Input – create dynamic sound design without an audio input, use automation or midi to control your libraries, trigger transients directly, based on frequency via velocity-sensitive midi input, switch between an audio input and Dynamic Input for different ways of interacting with your own libraries, add variation quickly and easily, create constantly evolving sounds using ‘continuous mode’ (perfect for environmental effects or electronic textures) and combine with Extended Library View for a comprehensive range of results from a single library. • Extended Library View – refinement of the results you hear from any library, precise control over each voice’s selection, and sample previewing and muting. 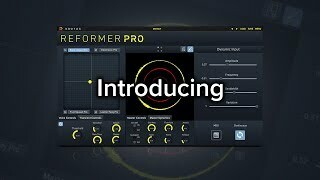 • Transient Engine – perform impacts and drum hits with a live audio input in real-time or any audio file in your DAW, add extra definition, layer multiple transients using two or more voices, trigger based on amplitude threshold and response, mix between transient and ‘classic’ Reformer Pro engines, tightly control transient playback using attack and release, and use the Extended Library View to select/deselect transient material from a library. 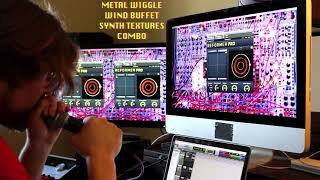 • Significant improvements in workflow and audio processing quality. This is the ultimate Krotos collection for high quality and versatile sound design. Get the full Krotos Reformer Library experience in one package and explore all our SFX libraries at an unbeatable price. Choose from more than 1,100 files of ready-to-use, high-end sound effects, curated and recorded by our fantastic team of sound designers. • Looking for even more variety? All Reformer libraries are compatible with Reformer Pro.